The Bull City Escape is rated #1 for fun and games in Durham on TripAdvisor. This exhilarating, interactive experience is designed to test your wits. The premise is simple: small groups are locked in a room and have 60 minutes to escape. Pictured above is the Duke Mens’ Basketball Team after they successfully exited the room. Some of them had to duck to even get through the doorway which apparently served as great motivation to escape the room! To find the key, people must work together to unearth clues, solve puzzles, and crack codes. 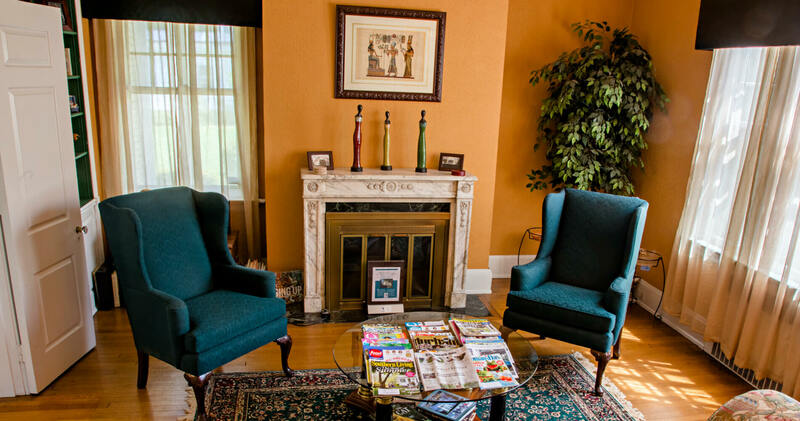 Morehead Manor Bed and Breakfast can arrange for you to see if you have what it takes to escape with your friends, family, or co-workers. Bull City Escape is the perfect destination for visitors to the Triangle. Located in the heart of the Ninth Street District, it’s the best way to spend an hour and create an unforgettable memory in Durham. 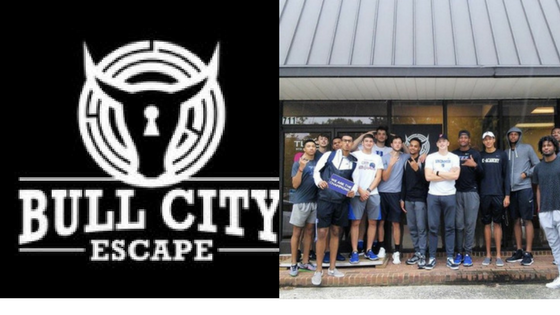 Bull City Escape is a unique and fun way to build leadership and communication skills. Their escape games are perfect for boosting camaraderie and teamwork in corporate groups. See how well your team can work together when the clock is ticking and the pressure is on! Calling all puzzle enthusiasts and mystery buffs: time to take your code-cracking, clue-hunting skills to the next level. Your inner Sherlock will love these intricate games, but do you have what it takes to escape? Looking for a new adventure? Switch up your routine and spend a fun hour at Bull City Escape with family and friends. This is also a great way to spend birthdays, date nights, and anniversaries – whatever your celebration may be, an escape game will make it unique and exciting. Locked in a room, your group has sixty minutes and one goal: escape! Work together to hunt for clues, crack codes, and make connections. Put it all together to uncover the final key and escape! It’s not a scary experience at all. Your group will be locked in a room, but we will let you out if you need to leave or take a break. Don’t worry, Bull City Escape will still let you out at the end of the hour if you do not solve the puzzle! Solving the puzzles will be much more satisfying though. More importantly, you will receive a really fun hour of entertainment. Please arrive at least 10 minutes prior to your scheduled time. Games will begin exactly at their start times and latecomers will not be permitted into the room. Bring all the wits, reasoning, and sleuthing skills you can muster. Leave the bolt cutters at home. The answers to the clues and puzzles are all in the room, but it’s up to you to find them! Team members must work together towards a common goal. How will you and your team perform when the clock is ticking and the pressure is on? This entry was posted in Durham and tagged Bull City Escape, challenge, collaboration, creative thinking, Duke Mens' Basketball Team, Durham, entertainment, Morehead Manor, mystery buffs, Ninth Street District, puzzles by admin. Bookmark the permalink.